This study-day will examine the alchemy of change brought about by the coming of Christian literacy to Anglo-Saxon England through some of the remarkable books and documents that have survived. 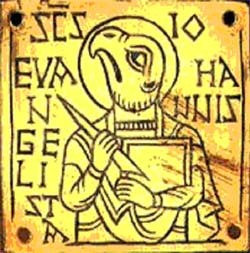 These include the Lindisfarne Gospels, the Benedictional of St Ethelwold, the Anglo-Saxon Chronicle and Beowulf. Their relationship to other media, such as the Sutton Hoo metalwork and the Ruthwell Cross, will be explored and some volumes will be excavated through the 'archaeology of the book' and interpreted in their historical and social contexts. .